March Stats -21254 Pageviews from 9208 unique visitors. Our most visited index pages, in order of popularity were: NEWSLETTERS - ENQUIRY - INDEX - CLASSIFIEDS - NEWSLETTER 135 - NEWSLETTER 131- BUSINESSES - ACCOMMODATION - NEWSLETTER 137 - INFORMATION - ATTRACTIONS - TIRAU - NEWSLETTER 112 - SHOPPING - REAL ESTATE. Meta tags are not the overall answer to improving your search engine ranking, they can certainly help with many of the search engines. Meta tags are information inserted in the “head” area of your webpages and other than the TITLE tag, these are generally not seen by those viewing your pages online, but can be used to communicate information to directories and search engines that use crawlers/spiders rather than humans to enter your information into their databases. The actual text used in the TITLE tag is vitally important as it will determine how your web page ranks in search engines and directories as well as being used as the title of your page in your, viewable in search engine listings. It is advisable to use keywords in page TITLE meta as these normally appear in the title bar of browsers when the website is viewed. 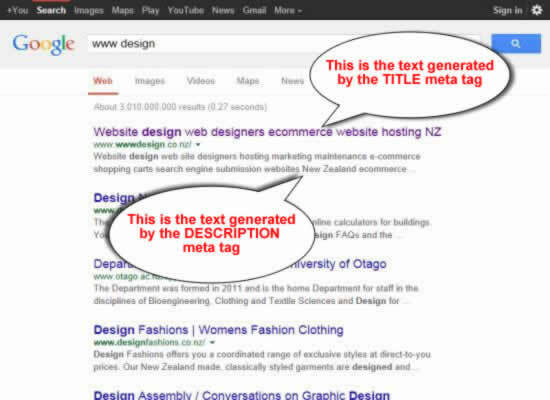 Each page on your website should be search engine optimised with unique meta tags related to the content on the page. This unique combination of words and phrases used in meta tags and content on each page will attract visitors to your website using different search engine terms and techniques, so it is important to include all the keywords and phrases you need for each product, service or information on each page. It is not recommended to include your business name in the TITLE tag of pages as the prospective customers you are trying to attract won’t know the name of your business until after they have found your website and bookmarked it for further reference. 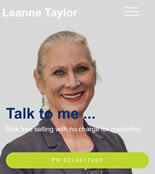 Using your business name would be a waste of valuable keyword space as the TITLE met tag should not contain more than 60 characters including spaces. This means avoiding using words like “and”, “at” etc. It is important to think creatively as to what keywords people would use if they were looking for the goods or services that your business offers. Two other meta tags that are important are the KEYWORD and DESCRIPTION tags. Frequency and location of the keyword that is being searched are important criteria that determine relevance and hence page ranking. Search engines would usually consider the page more relevant if the keyword that is being searched appears in the TITLE tag, DESCRIPTION AND KEYWORD tags as well as being in the text near the top of the page and mentioned throughout the page. This is only a general rule though and it is important not to resort to keyword stuffing and spamming (repeating long strings of keywords) as some search engines penalise pages that have keyword spamming. It is advisable to stick to using tags sensibly with the right frequency and location, without excess or spamming. The DESCRIPTION meta tag can contain up to 150 characters including spaces, so again we recommend the use of keyword rich words and phrases related to the content to each page. The DESCRIPTION tag is used by some search engines for the page summary that is displayed on the results page. This summary is what the visitor will read to decide whether to enter your site, so it should be informative and keyword rich to encourage the searcher to visit your website. The KEYWORD meta tag is not utilised by all search engines or directories, but it is still advisable to include this tag for those that do use it. The KEYWORD tag generally includes a list of keywords and phrases separated by commas and generally lower case because over 90% of searches use lower case or are conducted on search engines that are not case sensitive. The KEYWORD tag should contain variations on the same theme. For example if your site was about gardening, you could use garden, gardening, gardens, etc. and each word or phrase should not be repeated if possible. These are all words that might be used in searches for information that your site might provide. The KEYWORD meta tag is not intended to replace the actual text on your website. This tag is simply to aid the spider in collecting accurate information about your web pages. This is probably the only other important meta tag. This is a very peculiar tag in the sense that it indicates what web pages should not be indexed by Search Engines. The ROBOTS tag is inserted in between the header tags and works in conjunction with a file called robots.txt. By default, a crawler will try to index all your web pages and will try to follow links from one page to another. This can be prevented by using the ROBOTS tag. Most major search engines, including Yahoo and Google support the Meta robots tag. The Meta robots tag also has some extensions offered by particular search engines to prevent indexing of multimedia content. If this meta tag is used the wrong way it might shut the search engines out, so the influence of this meta tag is significant. It is recommended that all websites have the ROBOTS tag on their index page to show instruct the search engines to search the entire site even if you don’t want to block certain pages from searches. There are other Meta tags apart from the ones explored above but most of them are simply ignored by almost all search engines. 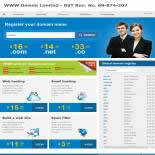 In summary, many search engines will give you an advantage if you have meta tags set up correctly on your website. But keep in mind that this is just one of the many things you can implement to improve your website’s search engine rankings.